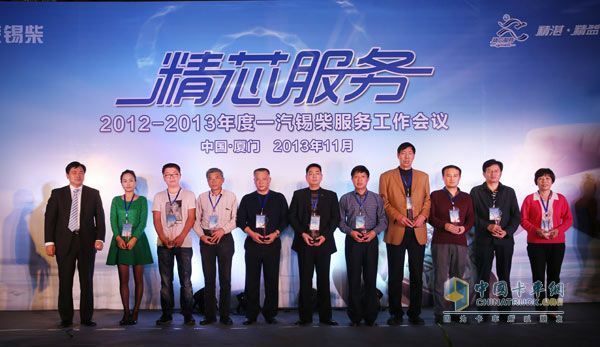 On November 22, 2013, the 2013 FAW Xichai service work conference kicked off in Xiamen. The conference focused on the â€œCore Care Serviceâ€ theme and summarized the successes and failures of FAW Xichaiâ€™s service work over the past two years. The work objectives for 2014-2015. According to relevant staff from Xichai, the FAW Xichai service work conference is held once every two years and is the most important event for the service work of FAW Xichai. Xiamen is the main venue for the 2013 annual conference of Xichai, and is also the first stop of the series. In 2013, Xichai will also hold regional service work conferences in four branch venues in Kunming, Guiyang, Chengdu and Hefei respectively. In May 2013, FAW Xichai's â€œCore Serviceâ€ brand was officially released in Wuxi, which opened the era of Xichaiâ€™s â€œService Brandingâ€. This meeting is directly based on the brand name of "recruiting core services", which shows that Xichai pays great attention to the service brand. "The brand strategy is the highest strategy of the company, and the service brand is an important support for the brand strategy of Xichai." At the meeting, Ji Yizhi, assistant of FAW Xiehai factory director, repeatedly stressed the importance of meticulous service brand. According to the introduction of Ji Yizhi, as early as in the beginning of the "second venture" at FAW Xichai, it proposed the "service brand" goal, launched a "service caravan", "quality north and south travel" and other special services, among users Established a good reputation. In 2010, in formulating the "Twelfth Five-Year Plan", Xichai also clearly proposed to create a "national brand, high-end power," form a unique service, establish a user reputation, and increase the premium capability of the Xichai brand. In the face of market volatility and industry reshuffle, FAW Xichai did not relax its brand building efforts, but accelerated the pace of building service brands. Through meticulous planning, the brand positioning of â€œcore core serviceâ€ has been clarified, and a service brand system including brand value and brand appeal has been established. At the meeting, You Zhiqing, Director of FAW Xichai Management Department, gave an in-depth explanation of the "Principal Service" brand. According to You Zhiqing, unlike many auto companies in terms of service brand over-regulation of emotions and concept speculation, FAW Xichai has focused its focus on service skills that can bring practical benefits to consumers from the very beginning. , prices, accessories, attitudes and service hours. To this end, FAW Xichai has put forward the "core core service" service brand with "superb, lean, and sincere" as the core. The so-called superb quality is to emphasize professional staff, professional equipment, and professional skills to provide customers with the most professional services; the so-called lean is guaranteed by the fastest speed, longest warranty period, and the most extensive network. The customer's best interests; the so-called sincerity, is the most distinctive form, the most sincere attitude, the most intimate return visit, to obtain the maximum customer satisfaction. "FAW Xichai's 'core service' emphasizes technical excellence, network leanness, and sincere attitude. Simply put, it is to highlight professionalism, enhance service skills around 'superb', highlight efficiency, and focus on 'lean' sound service network; Satisfaction, around the 'sincerity' to show service features. Is a truly realizing the interests of users as the ultimate goal of the brand." You Zhiqing concluded. The establishment and promotion of the â€œPrincipal Core Serviceâ€ brand has undoubtedly provided Xichai with a powerful opportunity to enhance the overall level of services, creating favorable conditions for Xichaiâ€™s integration with the world trend and highlighting the characteristics of its own practical enterprise. The establishment of a service brand will undoubtedly drastically boost the overall improvement of service image and service quality for Xichai itself. For Xichai externally, it undoubtedly once again demonstrates the demeanor of Xichai industry. Improve the comprehensive competitiveness of Xichai. "Over the past two years, we have enhanced our online skills training to enhance our service capabilities in the market. Through innovative parts management models, we have improved our parts supply capabilities. Through strict control of the Three Guarantees audit process, we have reduced the cost of service claims; through innovative service management. The model has improved the service brand image. It should be said that the past two years have been a two-year surge in our service work and a qualitative leap forward.â€ Chief engineer Li Peiran of FAW Wuxi Diesel Sales Co., Ltd. talked about the performance of Xichai in the past two years. The feeling of pride spills over words. According to Li Peiran, two years ago, FAW Xichai Sales Co., Ltd. has trained service engineers and service stations in the region for natural gas and service engines in the key sales regions for natural gas and national four engines. 483 training courses were completed and 5403 people were trained. In addition, in conjunction with the Southwest Market Service Enhancement Program, FAW Xichai has actively organized 146 service networks for Kama, Ace, Nanjun, Hongta, Shifeng and other vehicle manufacturers in four provinces in Southwest China to carry out Conway, natural gas, and common rail. Such engine knowledge training effectively improved the service capacity of the vehicle factory service network. In order to truly benefit the users and reduce the cost of the use and maintenance of the users, FAW Xican strictly controlled the Three Guarantees audit process and reduced the cost of service claims. Through joint efforts with OEMs and parts suppliers, the cost of the three packs of FAW Xichai has been greatly reduced. According to Li Peiran, in the first three quarters of 2013 alone, the cost of the Xichai Three Guarantees has dropped by as much as 35% year-on-year. At the same time, FAW Xichai also prepared the management rules and assessment system from the service station claim form to the audit settlement time node to ensure that the audit time meets the management requirements, speeds up the settlement of service stations, and increases the enthusiasm of the service stations. In addition, with the spirit of mutual benefit and win-win, FAW Xichai has broken down the claim for care claims into each foreign business entity. "In the first three quarters of this year, our users had a reasonable number of complaints 0 times, and our zero-kilometer information feedback timeliness rate, zero kilometer information feedback accuracy rate, and zero-kilometer failure rate return rate all reached 100%." A series of figures illustrate the success of Xichai's service work. "In 2014, in order to further build the brand image of Xichai, improve its ability to support sales, and continuously increase the satisfaction of market users, the sales company will aim to enhance customer satisfaction, solidify the technical training model, and ensure the effectiveness of service training. Network management, improve the level of accessories management; optimize the construction of service brands, and focus on upgrading the brand image.â€ When Pei Liran talked about the service work of Xichai in 2014, his thinking was clear and he was confident. According to Li Peiranâ€™s introduction, in 2014, in terms of service skills training, Xichai will continue to strengthen service network training assessments to comprehensively promote service network skills upgrading; improve the training baseâ€™s image and enhance Xichaiâ€™s training image; enhance training system optimization to improve Training support capabilities; Through the perfection of typical fault case collection and incentive methods, the service stations and technician teams are fully encouraged to share experience in handling service issues. In this way, Xichaiâ€™s technical training model will be solidified, and the service training effect will be guaranteed to the greatest extent. In terms of spare parts management, in 2014, FAW Xichai will continue to optimize its four-cylinder machine accessories network to enhance its network radiation capabilities. Continue to inspect high-quality, professional four-cylinder machine distributors or competing product distributors, build a network, use its downstream secondary outlets, and gradually improve the network layout of the Xichai four-cylinder machine to improve the network's radiation capabilities. At the same time, Xichai will optimize the software and forecasting of accessories and enhance the spare parts storage capacity. In the first quarter of 2014, it is planned to test the software for the accessory planning and forecasting software developed in 2013, and the forecast data will be continuously revised. It will be officially put into use in the second quarter, thereby improving the rationality of the reserve of the central library and exclusive accessories of the regional markets. "Undoubtedly, in 2014, the top priority of Xixi's service work was still the construction of Xichai's 'core core service' brand." According to the report, in 2014, FAW Xichai will quickly analyze and formulate a special plan for service satisfaction improvement in response to various problems identified in the third-party satisfaction survey in 2013, and implement it in strict accordance with the plan to ensure the implementation of the results and ultimately increase customer satisfaction. degree. FAW Xichai will also use the province as a unit to further sort out the matching information of service stations and dealers, plan and improve the service network, and shorten the distance between the two; focus on key areas in the regions with high density of service stations to create core services. Station, actively play the role of service leaders in the region. Finally, FAW Xichai will standardize and unify the image construction work of clothing, tool kits, and training packages as soon as possible, further promote the image of the service station and reflect the brand image of Xichai Services. "The goal of FAW Xichai to build a service brand is to raise the service system construction of Xichai to a higher level. Only in this way can we create greater value for our customers and let customers satisfy Xichai products and be loyal to the Xichai brand." Ji Yizhi made a concise summary of the purpose of Xichaiâ€™s service brand building. Obviously, more than 70 years of entrepreneurial experience has made Xichai understand that only by focusing on the interests of users can the marketing work be able to achieve fruitful results. Only by insisting on creating value for users can we finally create value for the company. 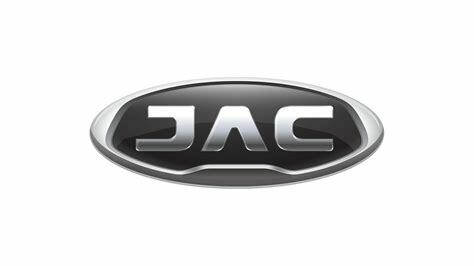 Anhui Jianghuai Automobile Group Co., Ltd. (Referred To As Jianghuai Automobile Or JAC) Is A Comprehensive Type Of Advanced Energy-Saving Vehicles And New Energy Vehicles That Integrates Research, Production, Sales And Service Of A Full Range Of Commercial Vehicles, Passenger Vehicles And Powertrains. Automobile Enterprise Group". At Present, Jianghuai Automobile Has Five Business Segments: Commercial Vehicles, Passenger Vehicles, Buses, Spare Parts And Auto Services. CATOP Currently Focuses On Providing Some Accessories For Passenger Cars And SUV, Such As Tongyue J3, Heyue J5, Refine S2, Refine S3, Refine S5 And So On.